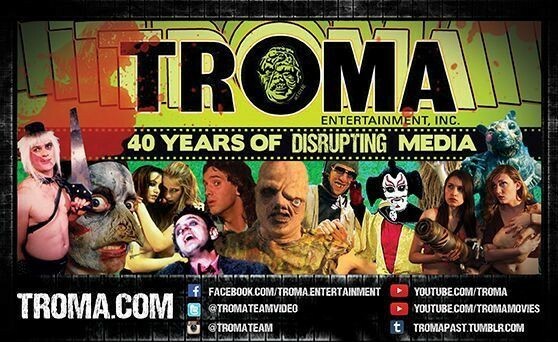 The founder of KitSplit, head of B-movie mecca Troma Entertainment, and former New York Film Commissioner have one thing in common: a last name. The reigning families of modern American movies are household names: the Coppolas, the Gyllenhaals, the Afflecks. But what about the Kaufmans? Haven’t heard of them? Well, if you are a filmmaker, they have very likely affected your life. If you’ve rented a camera online in the past couple years. If your production ever benefitted from a New York state tax incentive. If you are one of the millions who made Guardians of the Galaxy one of the most popular movies ever…you’ve been touched by a Kaufman. I call them the “first family of DIY” and they are my guests on today’s episode, which is jam-packed full of movie industry advice. So who exactly are they? Dad is Lloyd Kaufman, creator of the Toxic Avenger and king of B-movies, whose independent studio Troma Entertainment has produced and distributed more than 1,000 films and launched the careers of major directors like Guardians of the Galaxy’s James Gunn—who wrote the company’s cult classic Tromeo and Juliet in 1996. Mom is Pat Swinney Kaufman, who was the deputy film commissioner for New York State for 20 years where she built the state’s tax credit program for movie productions and was called one of “the most powerful women in the U.S. film industry” by Variety magazine. Their daughter is Lisbeth Kaufman, co-founder of KitSplit, which is now the biggest online camera rental company. Each of the Kaufmans has built a career on democratizing media-making. Between the three of them, there’s a veritable treasure trove of industry gold—and a clear admiration for each other. Not surprisingly, our conversation takes a winding path, and I think you’ll learn something from their advice on how to go with your gut, buck convention, and MAKE YOUR OWN DAMN MOVIE. At the end of the episode, Lisbeth generously offers the No Film School community a discount: For a 10% discount on gear and camera rentals at kitsplit.com, enter the code NFS10 at checkout! This entry was posted on Monday, August 21st, 2017 at 1:22 pm	and is filed under News. You can follow any responses to this entry through the RSS 2.0 feed. You can leave a response, or trackback from your own site.